Like Aruba in my last post, I really knew nothing about Curaçao except that there’s a bright blue, orange flavoured drink named after it. While in Aruba, people told us that Curaçao isn’t quite as geared up towards tourists, they said it was much less Americanised too (no Dunkin Donuts on every corner here!). I didn’t book accommodation on the island until the VERY last minute, but when I came across Moomba Beach Club which was literally on the beach, I knew I was going to like it. The actually room was pretty tired and in need of a revamp, but it was clean and comfortable with a little kitchenette and air con and best of all a ten second bare foot walk to the sand and unobstructed views of the sun dipping into the sea every evening. I don’t know if it’s always that quiet, but it almost felt like I had my own private beach. Absolute bliss! I only stayed for four nights, but got a good enough feel for the place to make me want to go back. 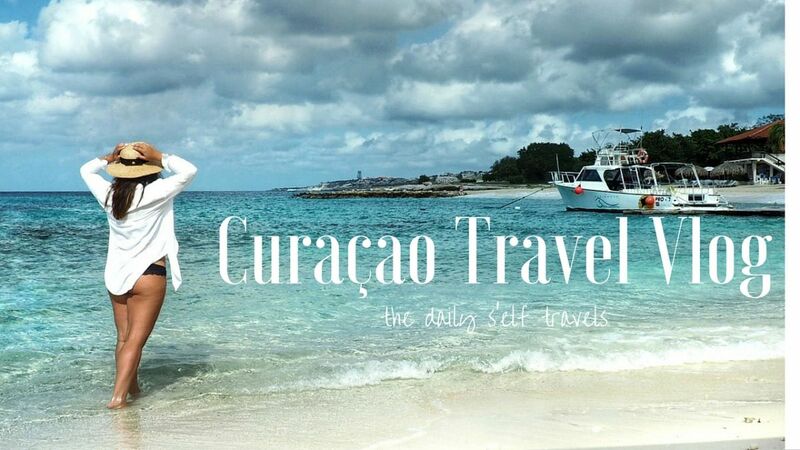 Here are some of the highlights and I’ve got a post coming up about what to do in Curaçao.